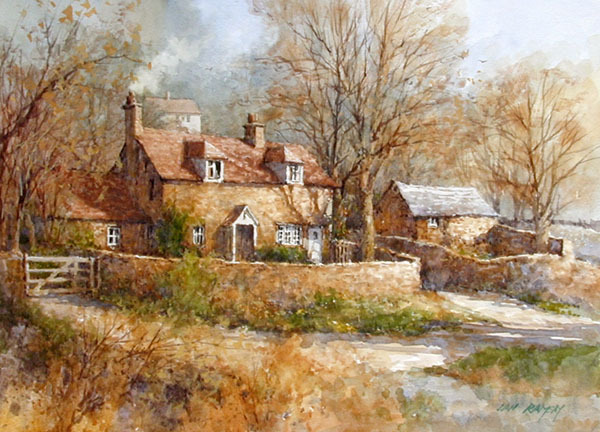 Born in Farmborough, Kent, England in 1948, Ian Ramsay was a licensed architect, practicing both in the United States and Great Brittan, before starting his fine art career. 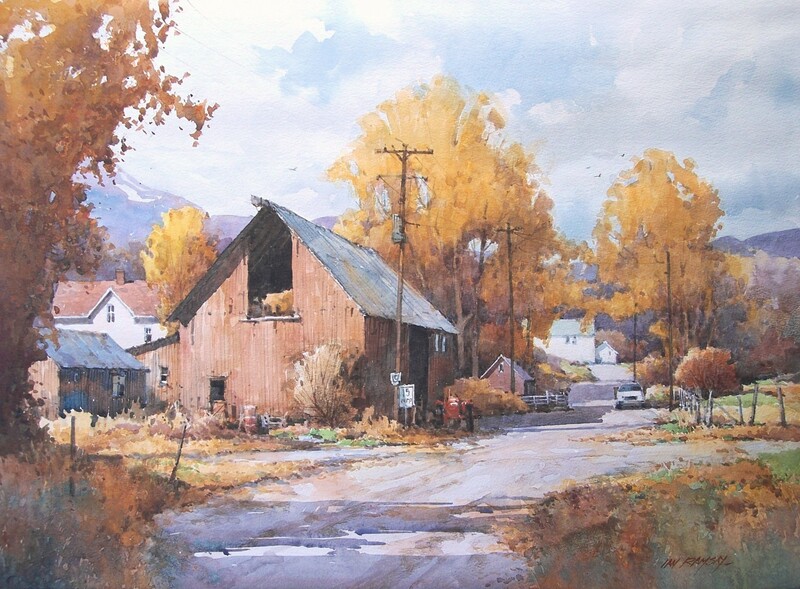 That background explains how he is able to convey shape, form, light, and perspective so well. 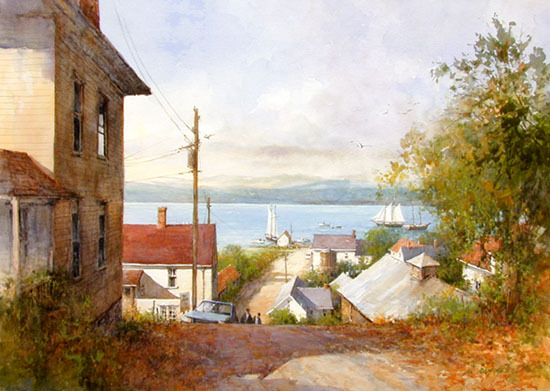 Ramsay spent his early years in England, Eastern Canada, and Ohio. 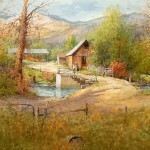 Since then, he has spent time in Utah, Washington, California and again England. 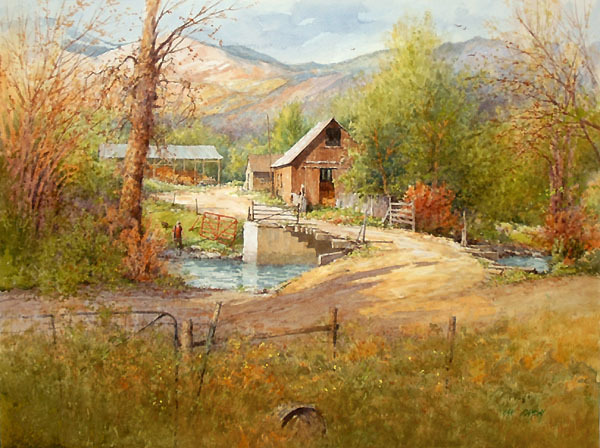 Ian Ramsay received his Bachelor of Arts degree from the University of Utah in 1970 and his Masters in architecture from there in 1972. 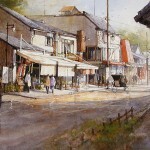 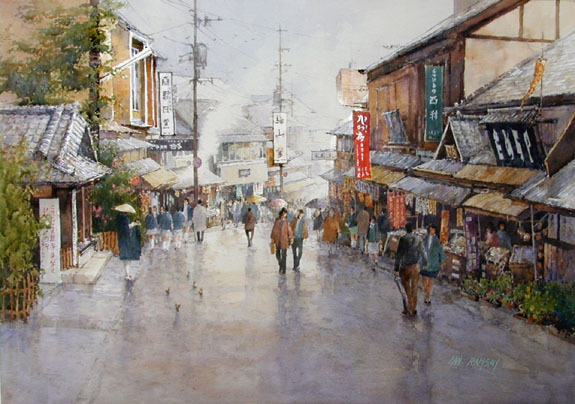 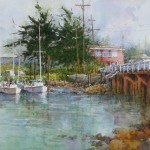 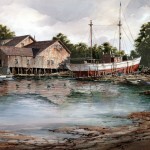 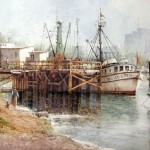 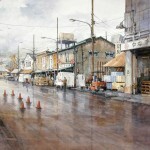 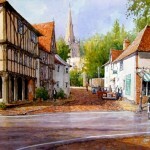 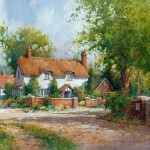 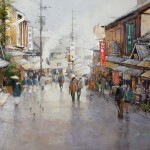 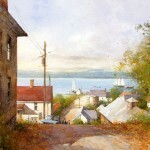 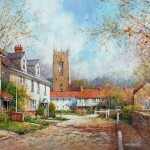 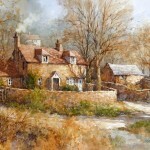 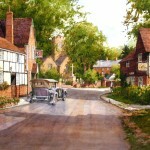 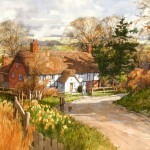 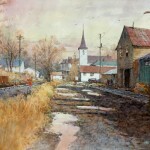 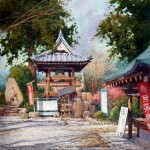 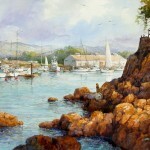 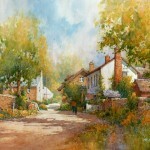 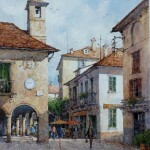 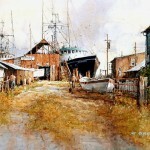 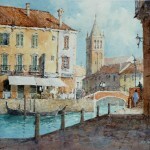 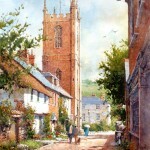 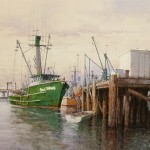 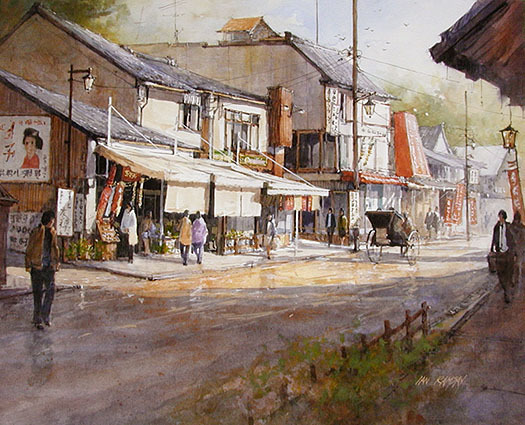 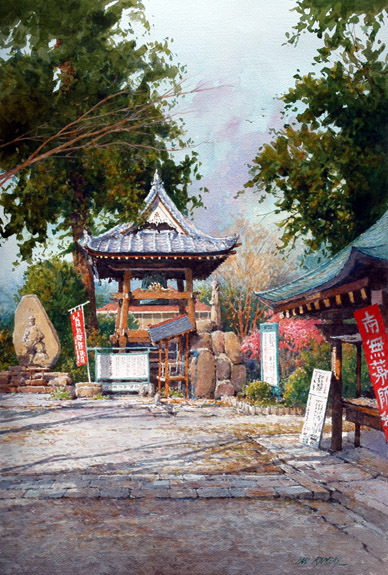 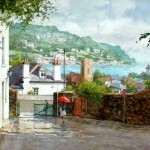 He then practiced architecture until 1979 when he switched to painting full-time. 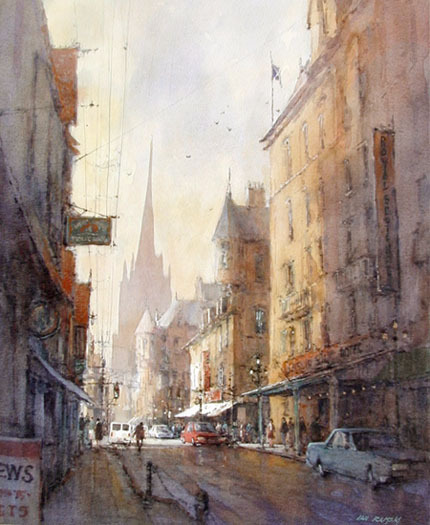 Even though he studied art and design in college, he had no formal training in watercolor, and developed a style of his own. 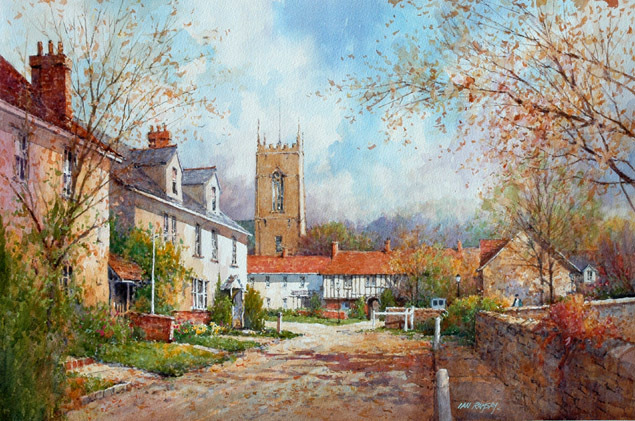 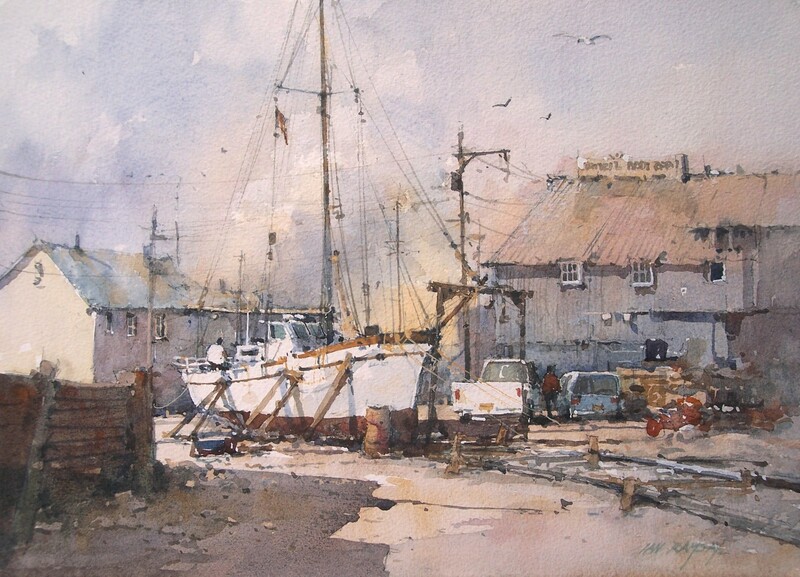 The artist has been influenced by the works of Constable and Turner (you can see hints of Turner in Ian’s beautiful skies), and the contemporary British watercolorist, Rowland Hilder. 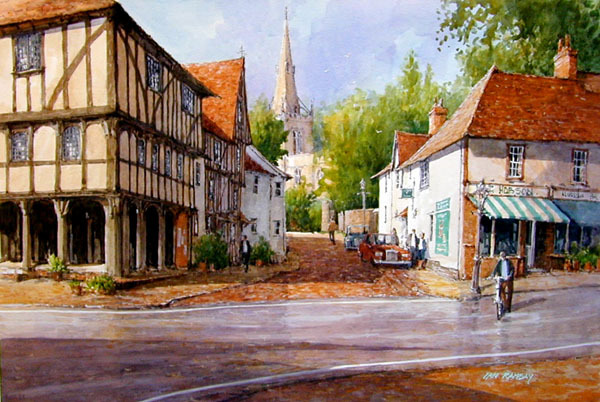 Ian Ramsay also had a chance to study fine art while working in the museum district of London 1970 to 1975. 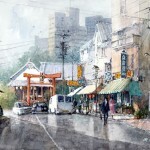 He now teaches watercolor at the university level. 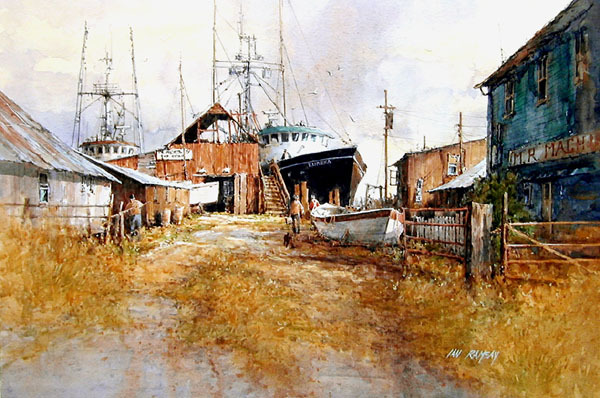 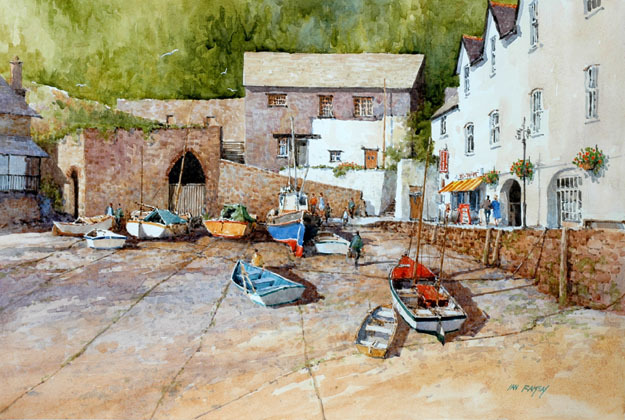 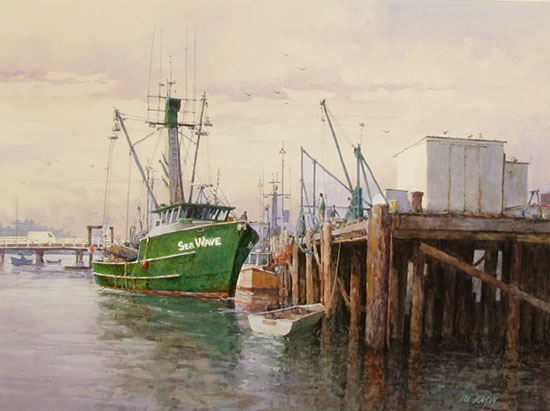 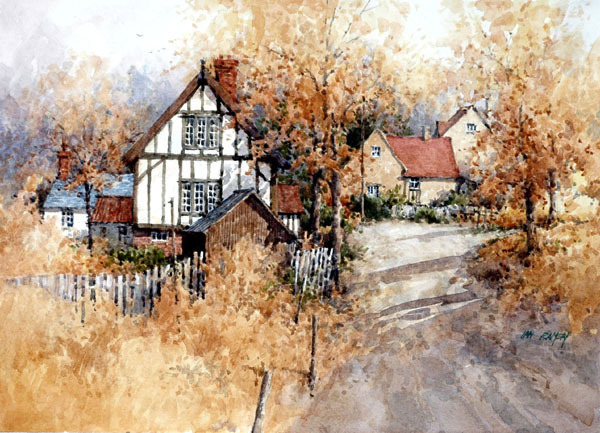 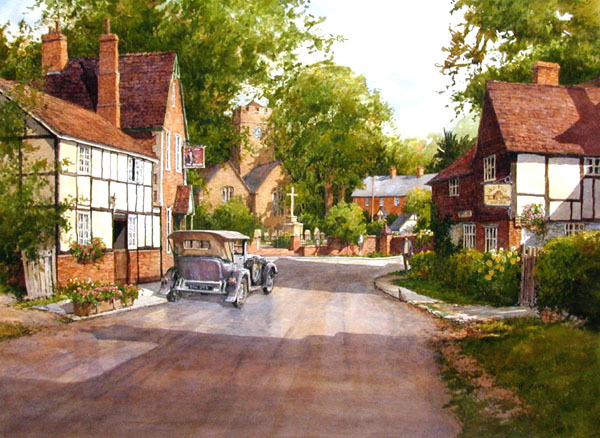 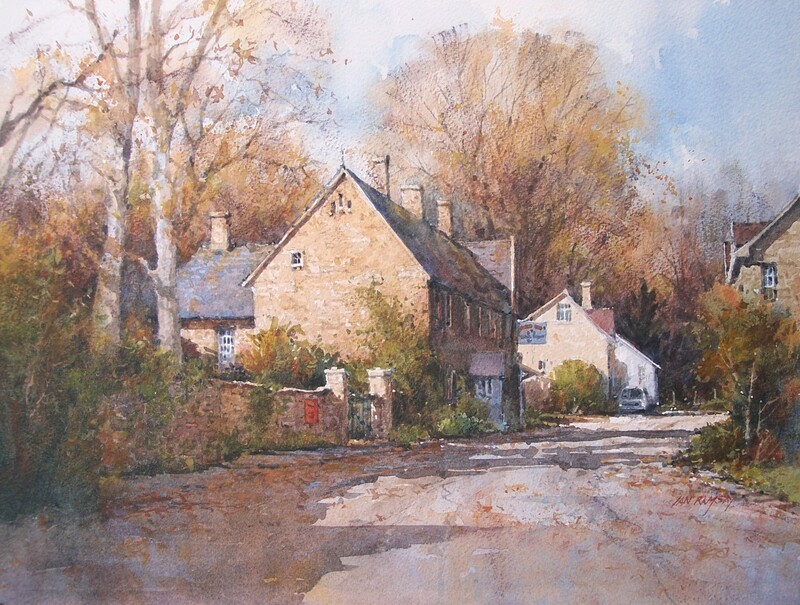 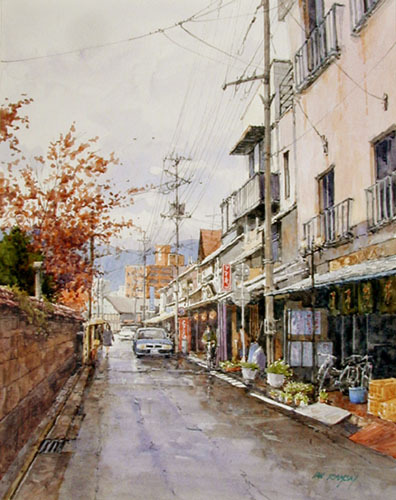 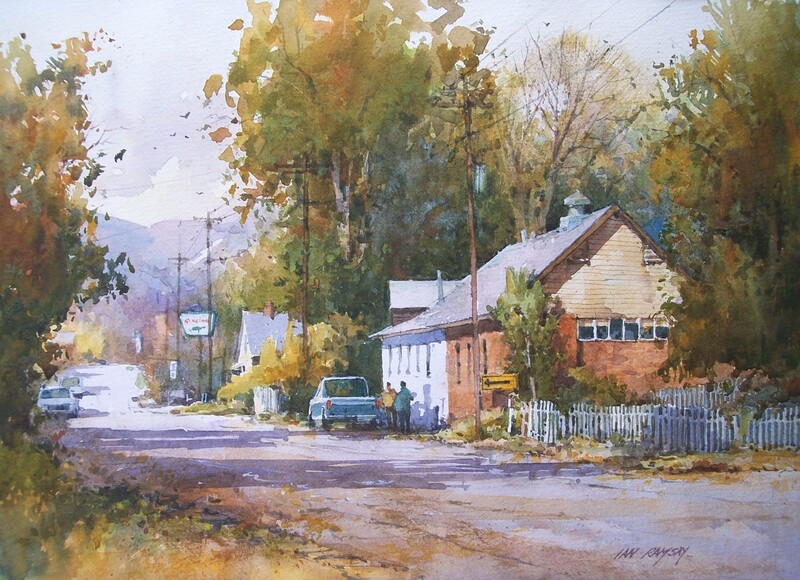 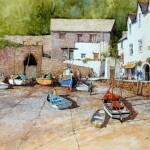 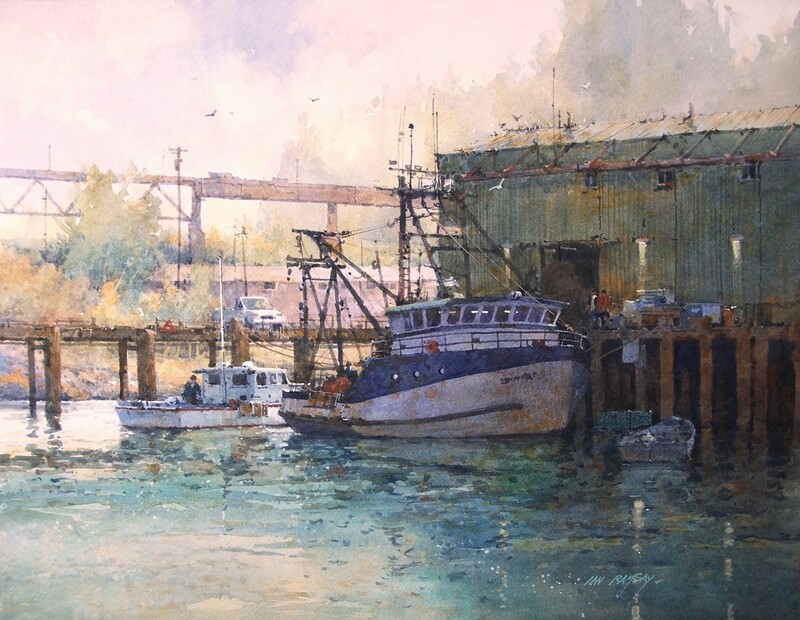 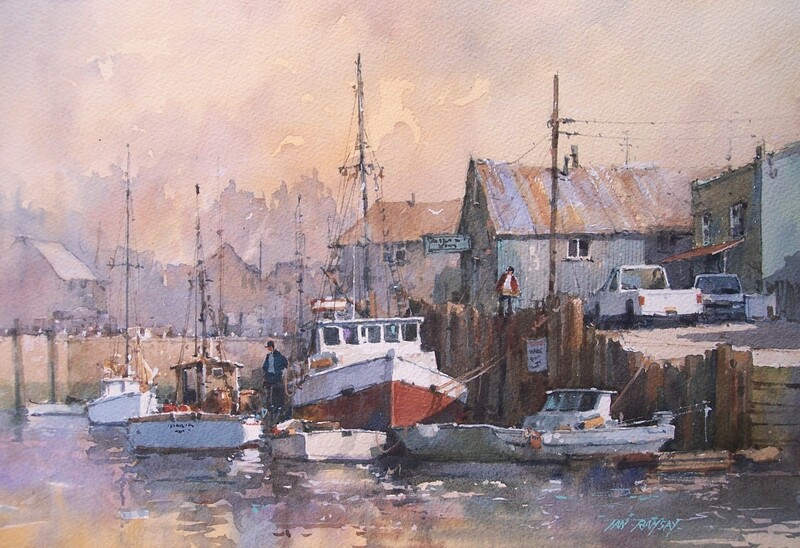 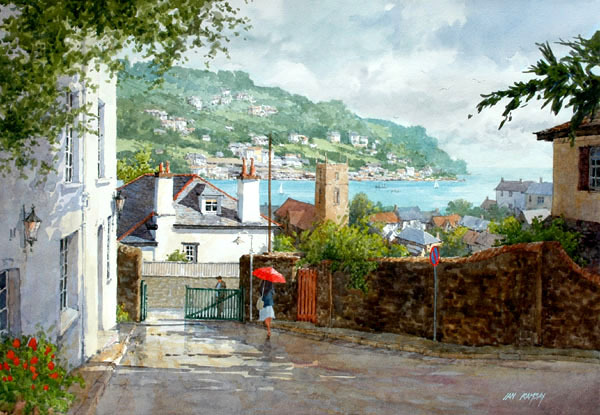 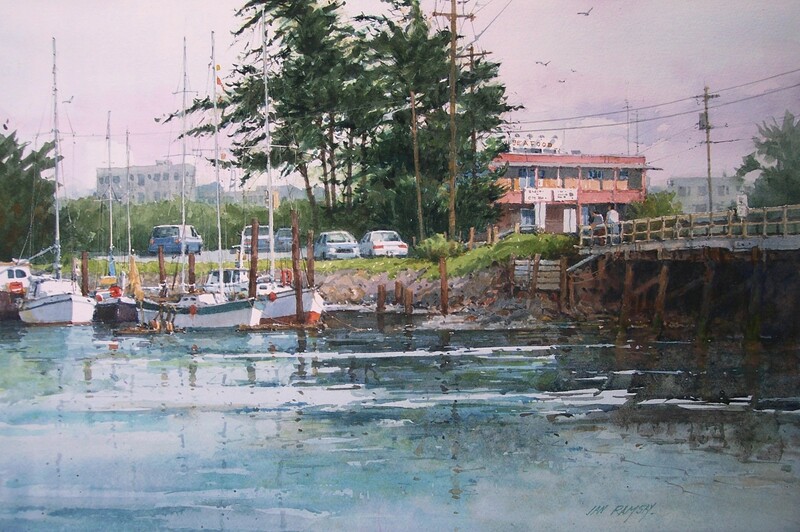 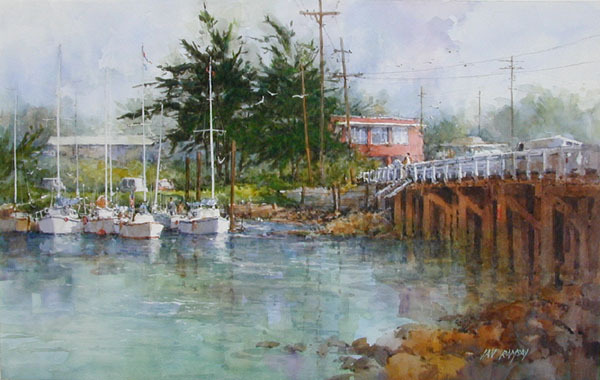 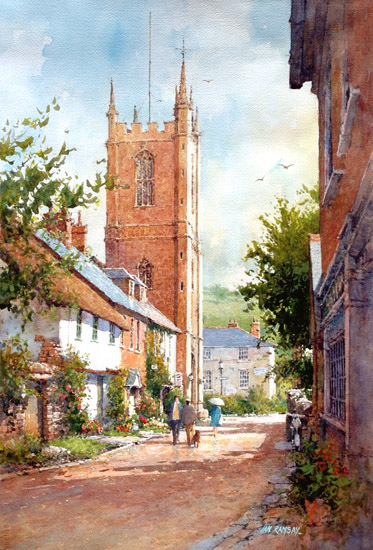 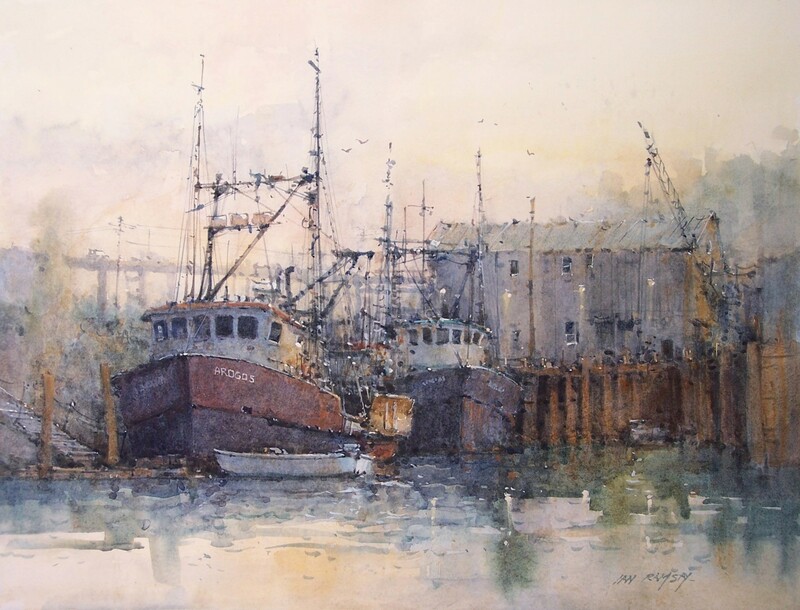 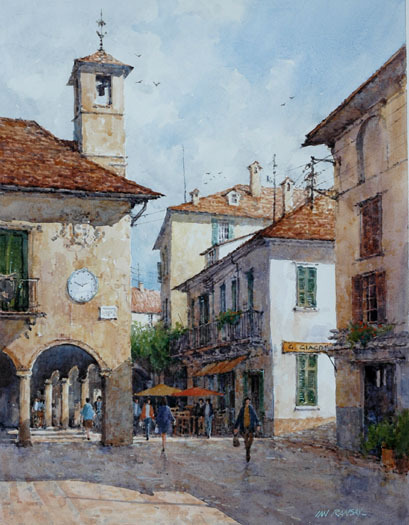 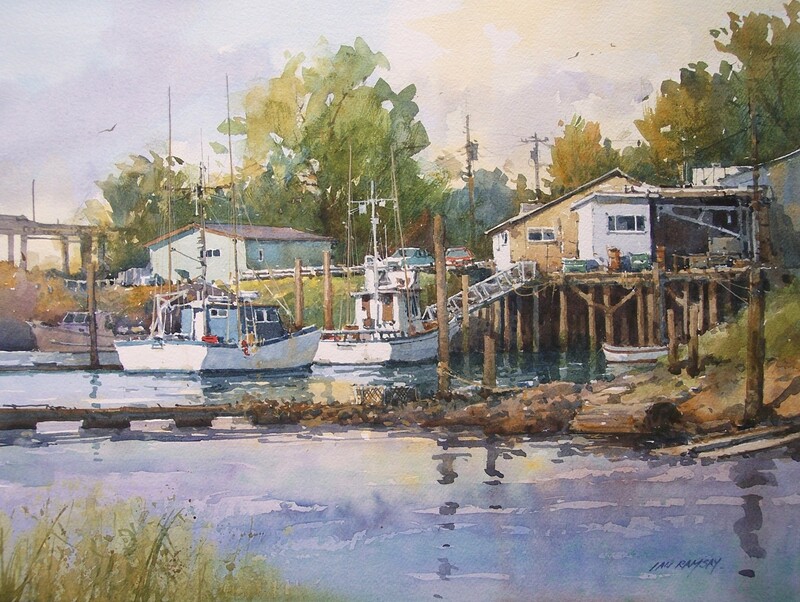 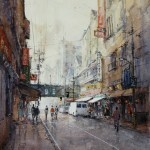 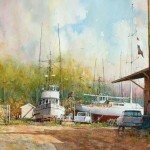 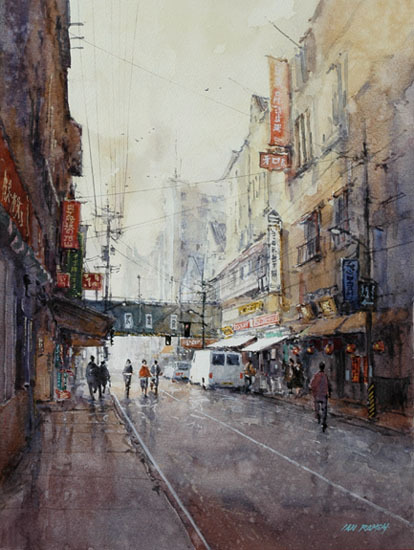 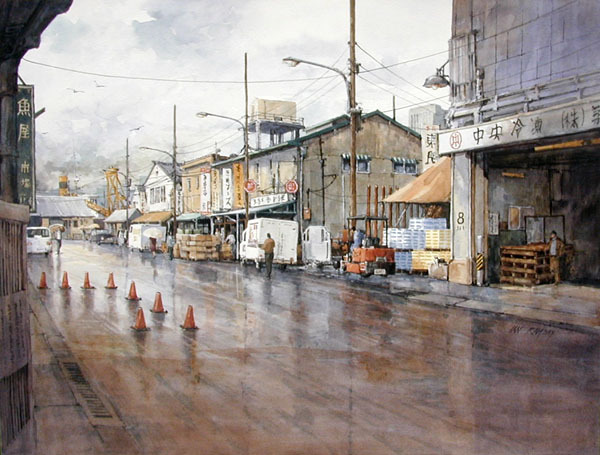 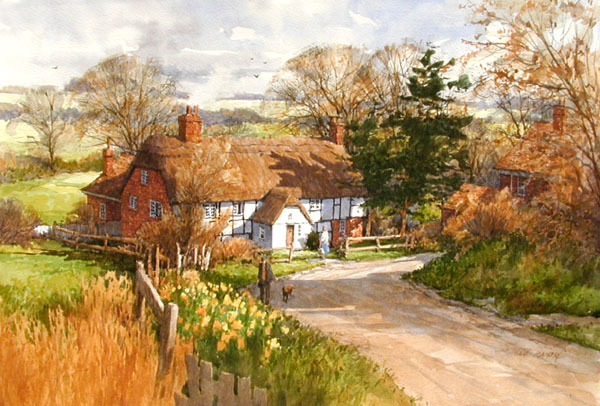 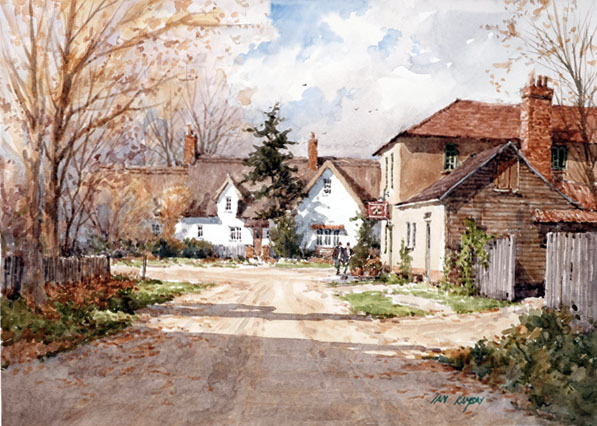 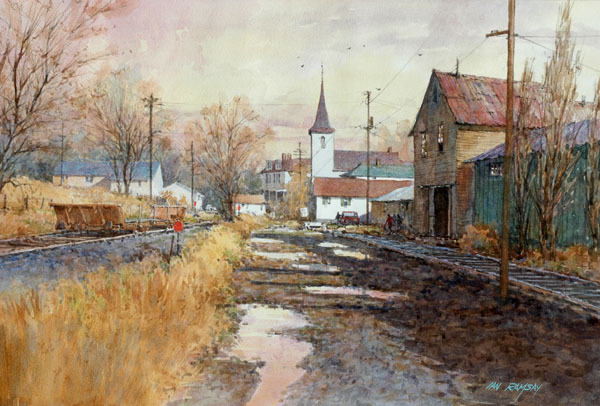 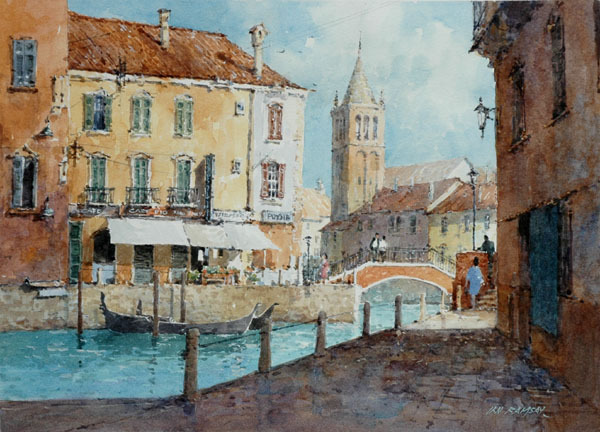 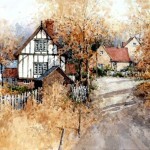 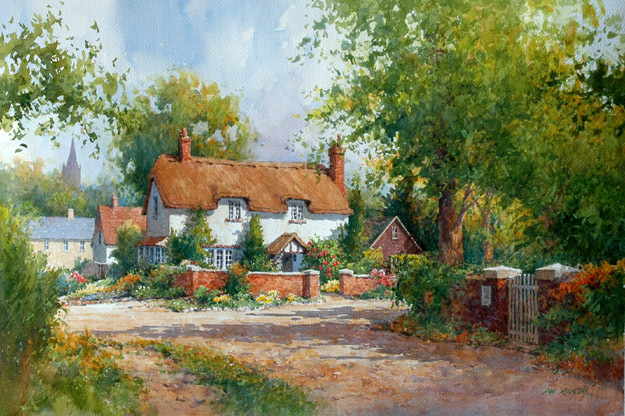 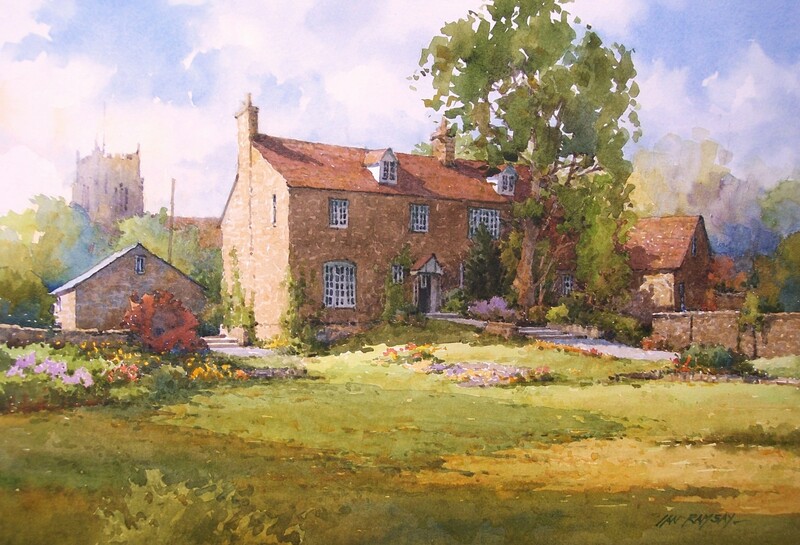 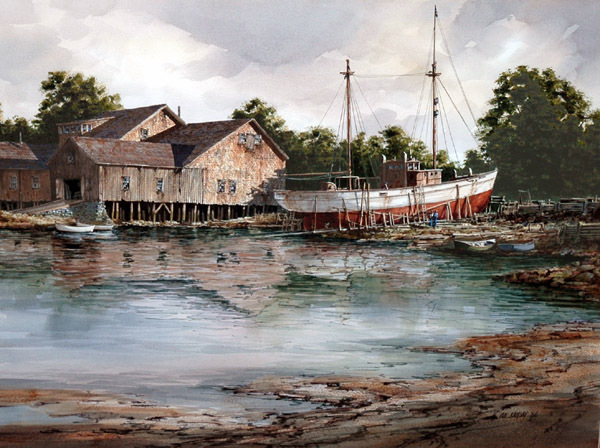 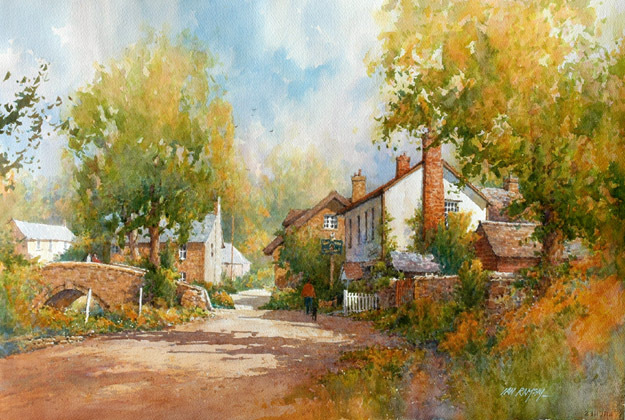 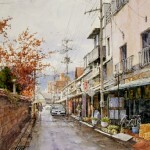 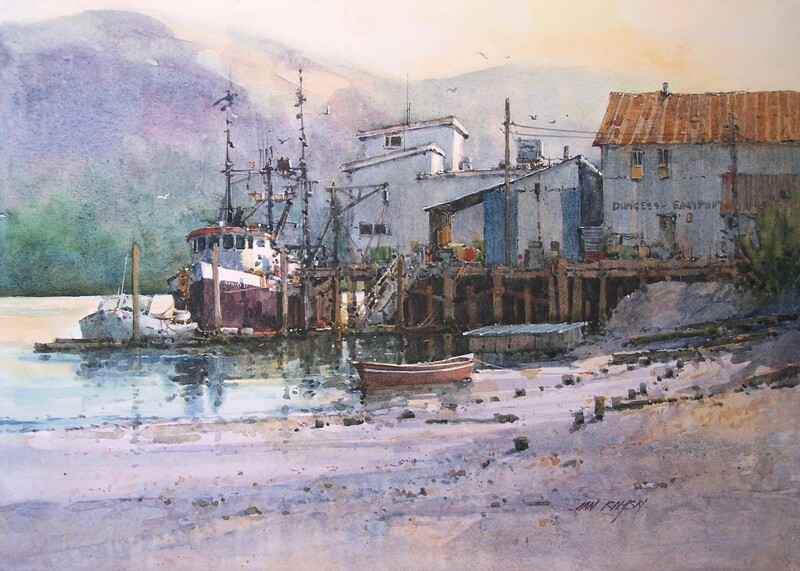 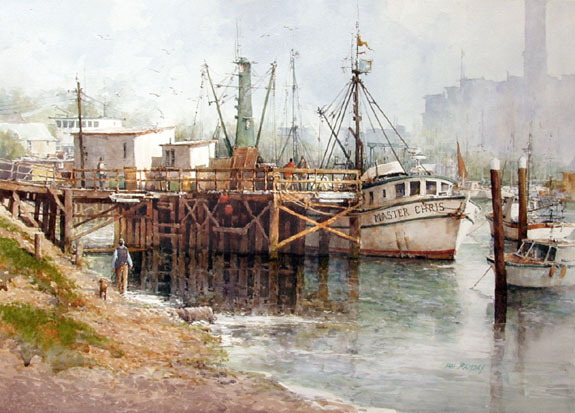 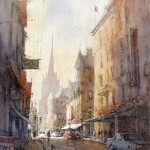 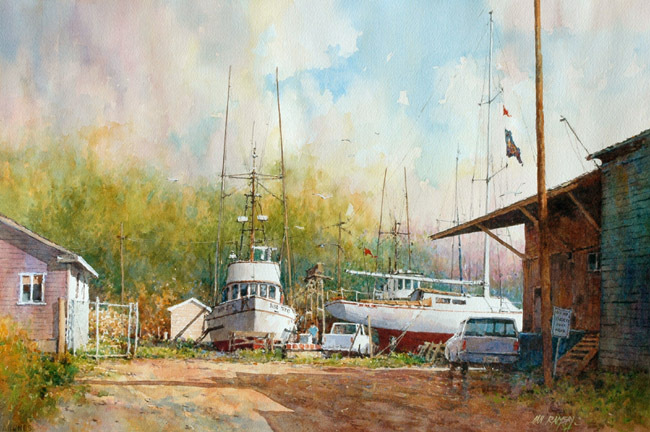 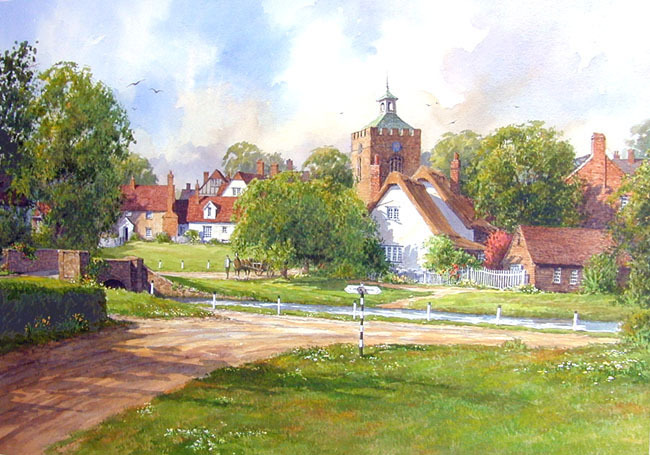 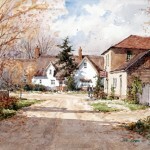 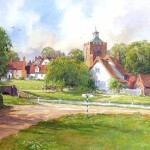 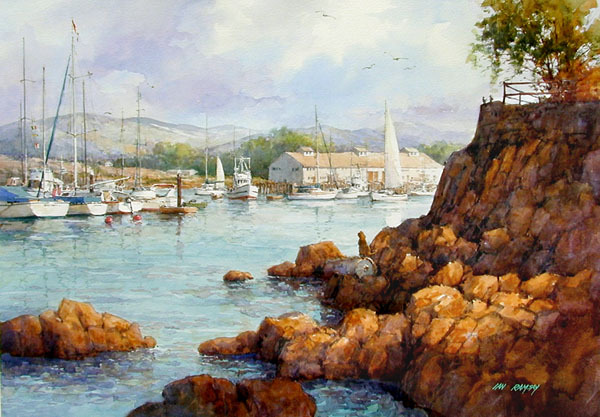 Ian Ramsay’s mastery of watercolor techniques combined with an eye for interesting subjects and superb compositions continue to keep Ian among our most collected talents. 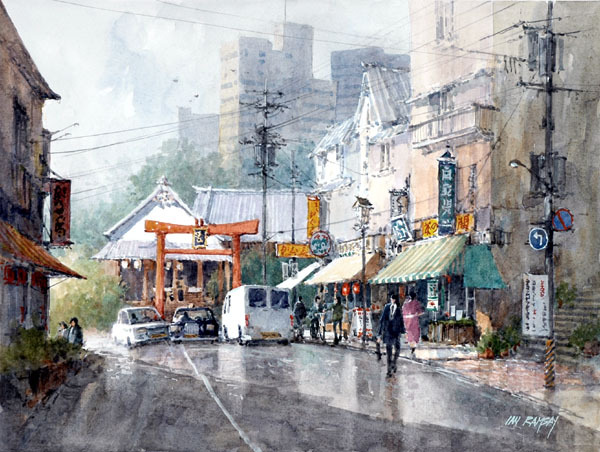 Since 2001, Ramsay has had numerous one-man shows in our Gallery and has also had four one-man shows in Japan where his work is critically acclaimed and collected.